CubeRover and Luxembourg will develop the next-generation planetary rovers in Luxembourg — this historic agreement marks the establishment of CubeRover’s operations in the Grand Duchy as a spin out organization from Astrobotic Technology, Inc. (Astrobotic), a space robotics company based in Pittsburgh, Pennsylvania, USA. The new headquarters in Luxembourg will be a hub for planetary rover design, manufacture, and assembly, as well as a one-stop shop for customers around the world to begin their planetary rover exploration programs. The Luxembourg office will develop small, medium, and large-sized CubeRovers to support government agencies, companies, and universities throughout the world. Each CubeRover will be customized for specific science and exploration missions such as resource prospecting, in-situ resource utilization, geophysical investigations, and much more. CubeRovers are now available for purchase as terrestrial testing kits and will soon be available as standalone vehicles for lunar missions. The resources and relationships provided by the LuxImpulse initiative will provide CubeRover with the necessary support the company requires to grow and flourish into a thriving organization. Mike Provenzano, President of CubeRover, said that the company is excited to launch CubeRover in the Grand Duchy and enable customers around the world to begin pursuing lunar science, exploration, and commerce with their own low-cost rovers. The Ministry of the Economy and the newly established Luxembourg Space Agency have been terrific partners and great believers in CubeRover’s vision of opening access to the lunar surface. There is no precedent for a planetary rover and its associated flight to the Moon at this price point. The cost of a CubeRover is an order of magnitude less than a traditional planetary rover. The CubeRover is a great tool for governments around the world to engage with the solar system and promote STEM education for the next generation of leaders in this industry. The Luxembourg community is buzzing with talent and creativity for innovative space technology. We are excited to continue forging relationships with universities and businesses in this environment as we chart our course to the Moon and beyond. 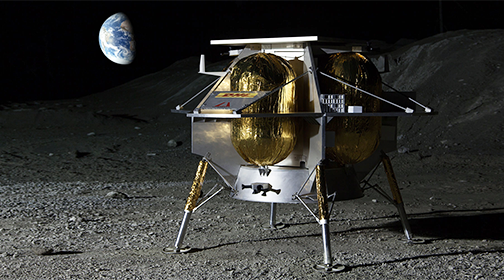 John Thornton, the CEO of Astrobotic, added that the CubeRover is a perfect complement to Astrobotic’s lunar delivery service. As the market leader in commercial lunar activity, the company developed CubeRover to respond to customer feedback for a low-cost mobile rover and the firm is delighted to partner with the Luxembourg Ministry of the Economy to spin out the CubeRover platform as its own enterprise. Luxembourg Deputy Prime Minister and Minister of the Economy Étienne Schneider stated that the launch of CubeRover’s activities in the Grand-Duchy further widens the capabilities of the organization's diversified space ecosystem and confirms that this is the home to a vibrant and thriving space economy. CubeRover will be able to efficiently serve European and international customers from a place where we foster the development of business in space in pragmatic and progressive ways.